A few years ago I bought a large number of scented tarts for my warmer. I recently ran out and was dismayed to find out the seller was no longer in business. I am very picky about my scents and it had taken me a long time to find a good quality scented tart so I was not happy that they were gone. These past weeks I have tried a few on ebay but was very disappointed. The scents were “cheap” like drugstore candles, and they had no throw. 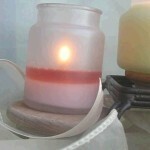 While browsing on the web I came across Integrity Soy Candles and was immediately impressed. I found some unique scents, a varied of options (sizes of scented candles, melts, etc) claims that they were better than anyone else and all at a decent price. When I got my order I could smell the cinnamon before I even opened the box! Each pack of melts had a wonderful scent. 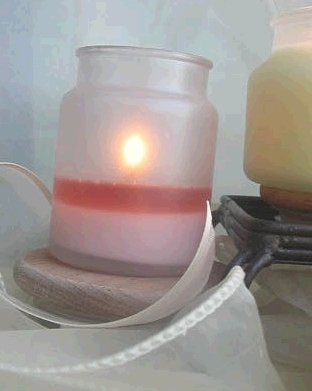 Very rich and pure scented candles, not like the chemically made scents you find with cheaper store air fresheners. They had generously included two tea lights with a pumpkin scent as samples and told me to request a scent with my next order for another sample, wow! I have the pumpkin samples in the kitchen and have not even had to burn them to fill the room with this yummy flavor. Each scent I tried was unique and smelled exactly as the name said it would. After 10 minutes of Vanilla Almond I had to turn it off since the room was full of the aroma. I could not be more please with the melts the store and the customer service. I am now a life customer. I have 2 dogs, 2 cats and I live on a river so I am always cleaning and fighting the natural odors that come with these things. I now keep a melt burning all the time and my house smells fresh and inviting. Oh, and they were telling the truth; they ARE better then anyone else by far. Hands down, the best scented candles you will ever burn.